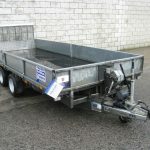 Adare Machinery presents the Ifor Williams Eurolight Flatbed Trailer for sale in Limerick. The Eurolight is designed for both the commercial and domestic user. Its light frame means it can be towed by small commercial vehicles or cars. 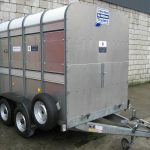 The Eurolight range from Ifor Williams offers a choice of 11 multi purpose trailers for sale. 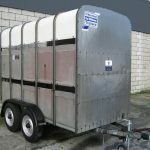 The Ifor Williams Eurolight trailer has a maximum gross weight between 1000kg and 2000kg. 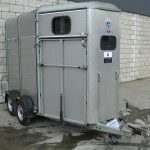 The Eurolight trailers provides for a range of options for both size and budget, making it a popular trailer for sale in Ireland. 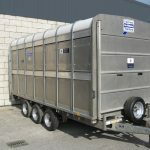 The trailer is constructed with the quality build synonymous with Ifor Williams Trailers. 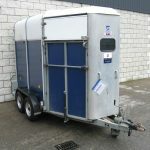 With a distinctive stylish design the Eurolight trailer is one of Ifor Williams best selling trailers in Ireland. 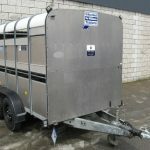 The Eurolight range incorporates all of the high standards expected from Ifor Williams Trailers, whilst at the same time introducing aesthetic changes to produce a stylish trailer that remains in-keeping with the distinctive Ifor Williams design. Available to view at our showrooms in Adare or call us on 061 397777.